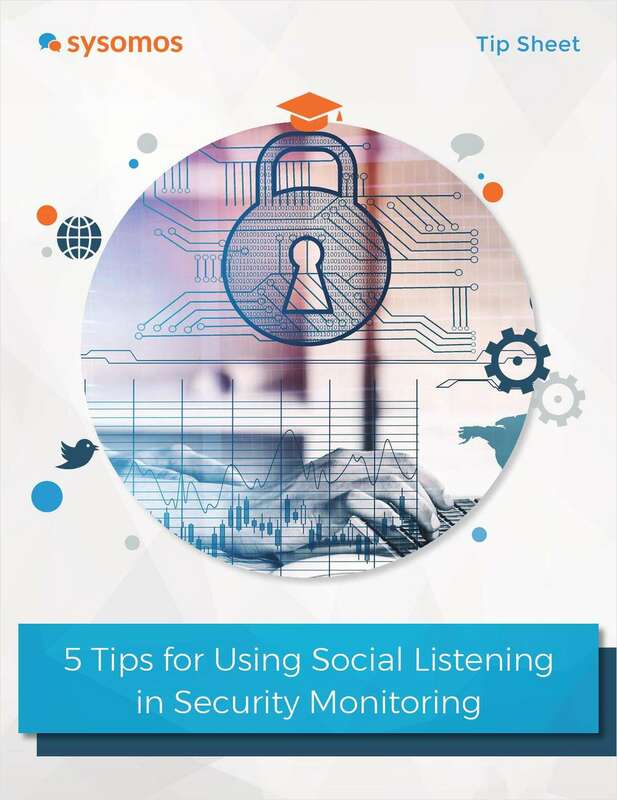 "Using Social Listening in Security Monitoring"
Free Tips and Tricks Guide: "Using Social Listening in Security Monitoring"
Identify threats earlier with social media monitoring. By submitting this content request, I have legitimate interest in the content and agree that Sysomos, their partners, and the creators of any other content I have selected may contact me regarding news, products, and services that may be of interest to me. Would you like a Sysomos demo?